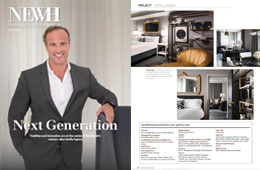 In NEWH Magazine's Fall Issue, Marriott's newest Autograph Collection Hotel, the Hotel LeVeque, designed by The Gettys Group is featured. As one of the artists for the hotel my name was featured in the three page article on pages 60-62. Nine of my photographs featuring architecture of the LeVeque Tower are displayed in the hotel, the 120th addition to the Marriott Autograph Collection. 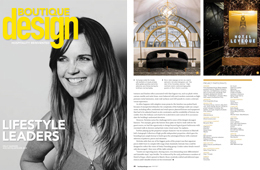 Boutique Design Magazine feature Marriott's newest Autograph Collection Hotel, the Hotel LeVeque, designed by The Gettys Group in their May Issue. As one of the artists for the hotel my name was featured in the four page article on pages 44-48. Nine of my photographs featuring architecture of the LeVeque Tower are displayed in the hotel, the 120th addition to the Marriott Autograph Collection. The Hotel LeVeque is a new Marriott Autograph Collection Hotel in the heart of downtown Columbus. The new hotel is built in the historic LeVeque Tower. Collaborating with The Gettys Group, a global hospitality design firm, I captured multiple photgraphs for the project that hang in meeting rooms, hallways and other parts of the hotel. The Hotel LeVeque is the 120th hotel of the Marriott Autograph Collection. The Hotel LeVeque is a new Marriott Autograph Collection Hotel in the heart of downtown Columbus. The new hotel is built in the historic LeVeque Tower. 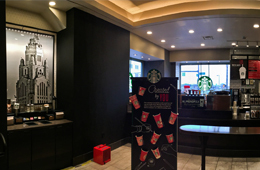 In the lobby, a Starbucks was built for building guests and the public. Collaborating with The Gettys Group, a global hospitality design firm, I captured this photograph to show the detailed outer architecture of the LeVeque Tower. The photograph now hangs in the Starbucks. One of the most iconic buildings in New York and the world is the Empire State Building. 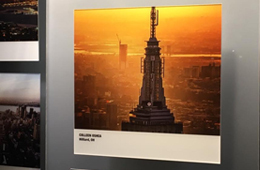 In the months of October and November 2016, I had the rare opportunity to be one of the photographers to have their photo exhibited in the lobby of the Empire State Building. 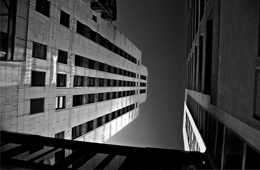 An average 9,000 people visit the Empire State Building per day. My photo features a NYC sunset behind the iconic building and was taken during an open door helicopter ride with FLYNYON. 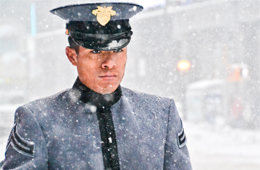 Winter Storm Jonas hit New York City on Friday January 22 and left the city shutdown for an entire day Saturday. Travel bans were put in place, restaurants and stores closed, and Broadway cancelled all of its performances. The snow fell at 3 inches per hour and ended up missing the record of the biggest snowstorm in NYC history by 1/10th of an inch. These are just some of the images that I captured during the storm. These are some of the photos that I captured while flying with NYONAIR and Flynyon. It was an amazing experience to see New York City from this angle and gives you a whole new perspective. 120mph, in an open doors helicopter, on a 30 degree day is definitely a different way to shoot photos, especially harnessed in and sitting on the door of a helicopter. I have been involved with Pelotonia since 2012. Pelotonia is a grassroots bike tour in Columbus, OH where 100% every rider raised dollar goes towards cancer research. 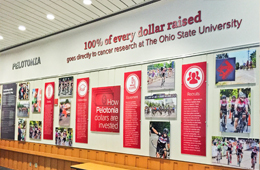 This year, a Pelotonia Lobby was created in the lobby of The Ohio State University's Biomedical Research Tower, featuring information about Pelotonia and 21 acrylic prints displaying photographs from the ride. 11 of the 21 photos featured are my work. I had to create a 30 second TV push using Cinema 4D and Adobe After Effects. Using Cinema 4D, I created the main elements and movements of the animation such as the Stanley Cup, the ice, and the puck. 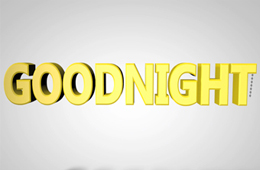 The sounds and text were added in After Effects. 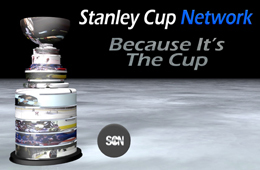 We could create any show or network we wanted for this project, so I chose to create The Stanley Cup Network. 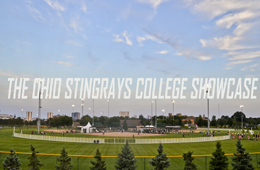 I created this video as promotional material for the Ohio Stingrays Showcase, a softball tournament that is held each year in Columbus, Ohio by the non-profit organization. This video shows the intensity and competitiveness as well as camaraderie of the tournament through the photos that I have captured over the years. Music Credit goes to Jorge Quintero "300 Violin Orchestra"
For this project we used Cinema 4D and After Effects to create a 10 second logo animation followed by a 30 second advertisement for a local company, with the logo animation playing again after it. 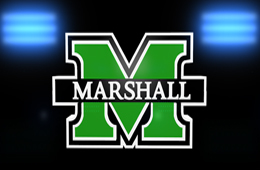 This project was to be played on the football stadium jumbotron, so I chose to make my animation a football theme, using the city's newspaper The Herald Dispatch as my company to advertise. For this project I had to use Cinema 4D and After Effects to create a 10 second animation of a logo for a company that we had to come up with. My company was Goodnight and I decided to use a pull chain light idea for lighting up the text when the scene gets dark. For this project I used an iPhone to videotape parts of campus to edit and use in Cinema 4D to create a motion tracking. 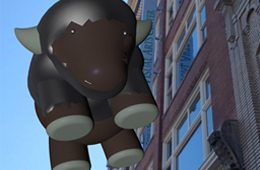 I used Cinema 4D to create the Marco (the bison) balloon that floats around the different scenes and motion tracking in Cinema 4D to put him in the video that I shot. Bend Active, a local yoga studio/yoga apparel store in Columbus had a contest on Instagram once again in 2016 to choose their favorite Columbus photos to be featured on the 614 Leggings. 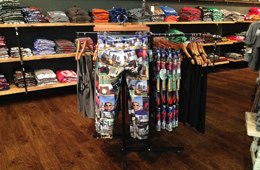 One of my photos was chosen to be featured on the newest pants and is found behind the knee and also near the left hip. The photo depicts the Columbus skyline through the wheel of the bike to represent the strong bike community in Columbus. Bend Active, a local yoga studio/yoga apparel store in Columbus had a contest on Instagram to choose their favorite Columbus photos to be featured on the 614 Leggings. 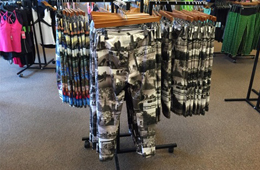 One of my photos was chosen to be featured on the pants and is on each lower calf. The photo depicts my sister from one of the shoots I did in college to promote Pelotonia and their fight towards One Goal, End Cancer. Hallmark had a contest where artists could design a card including the text and if chosen, they would sell the card on their website as part of their card line. 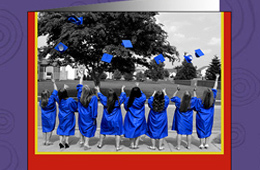 The contest was for their graduation cards so I created a photo of graduates tossing their caps. My card was chosen as one of the winners. 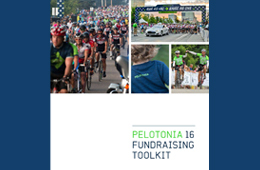 Pelotonia is a grass roots bike tour that starts in Columbus, Ohio. 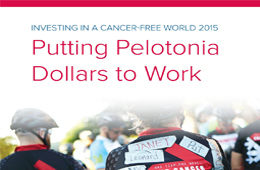 Thousands of riders each year gather to raise money for One Goal, End Cancer. To date Pelotonia has raised almost $100 million where 100% of every rider raised dollar goes to cancer research. These photos are from the ride, fundraiser events, and a project I did in college to raise awareness for Pelotonia. One of my photos that I took during Pelotonia 2015 was published in CityScene Columbus Magazine's January/February 2016 issue. The ride has raise over $106 million for cancer research in just the past 6 years. I volunteer as a photographer each year for the annual ride. Pelotonia is a grassroots bike tour in Columbus, OH where thousands of riders raise money for cancer research. 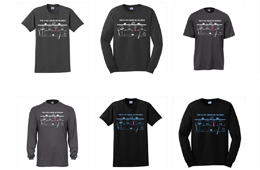 100% of every rider raised dollar goes towards cancer research at The James Cancer Hospital. 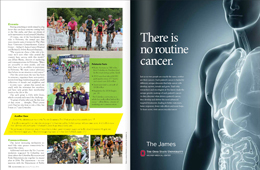 This year, some of my photos from the ride were published in The James' 2015 Pelotonia Investment Report on pages 6, 10, 11, 12, 13, and 19. Some of my photos were published in this year's Pelotonia Fundrasing Kit, which all of the riders in the organization have access to to get ideas for their fundraising. The photos can be found on the cover, page 13 and 22. I volunteer as a photographer each year for the annual ride. These are examples of some of my softball photography featuring athletes from all different ages, ranging from 10u to college softball. 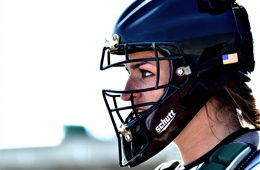 I have been a tournament photographer for the Stingrays Fastpitch Softball Association and also attend games in my free time. Being a former player (14 years of the game), it helps me anticipate where the play is going to be and where I want to setup my shot. I created this t-shirt design for a Strike Out For a Cure softball game between two Columbus, Ohio high schools. Hilliard Bradley and Hilliard Darby. The game will take place May 4, where the middle schools and high schools will play, wearing these shirts along with spectators. As a previous player this design means a lot because I am still involved with the program and helps promote cancer awareness. For an independent study project I had to create a website to improve a pre-existing website that I found on the internet. 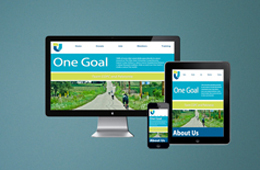 The website I chose was for Team COPC (Central Ohio Primary Care) who is a Peloton in the annual grassroots bike tour in Columbus, OH called Pelotonia, which raises money for cancer research. I had to design the site in Photoshop and code it while also making it responsive. For an independent study project I had to create a website for a local company in Huntington, WV. I decided to create one for a newly opened coffee shop near campus called Bittersweet. 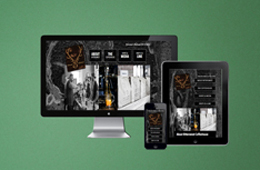 I created my design in Photoshop, took photos at the shop for my site, and coded it while making it responsive. 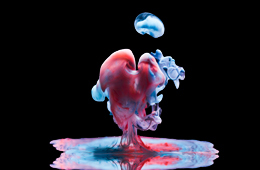 These are the images from my Senior Capstone Exhibition at Marshall University. 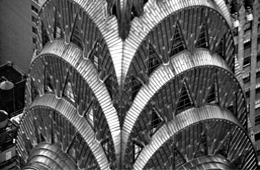 The final prints are each 16" x 20" metal prints where the photos are heat-infused on aluminum. The goal of this project was to show that you can make works of art using every day products around your household. This project involved a lot of trial and error, but I was very pleased with the end result. I took these photographs to create a baby announcement in December and a gender reveal in February for my brother and his wife who are expecting twins. 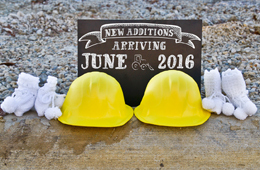 Since they are building a new house, we decided on a construction themed announcement. On Valentines Day, they decided to create a Valentines themed gender reveal. I was asked by a DJ to help create a logo to help represent him as a DJ. 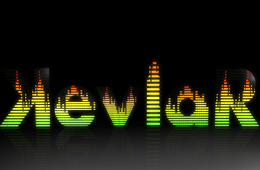 Known as DJ Kevlar, I incorporated kevlar material into the logo and also created a version of the logo with a sound bar look to it. He wanted both 2D and 3D logos with just the backwards K and the full name Kevlar.